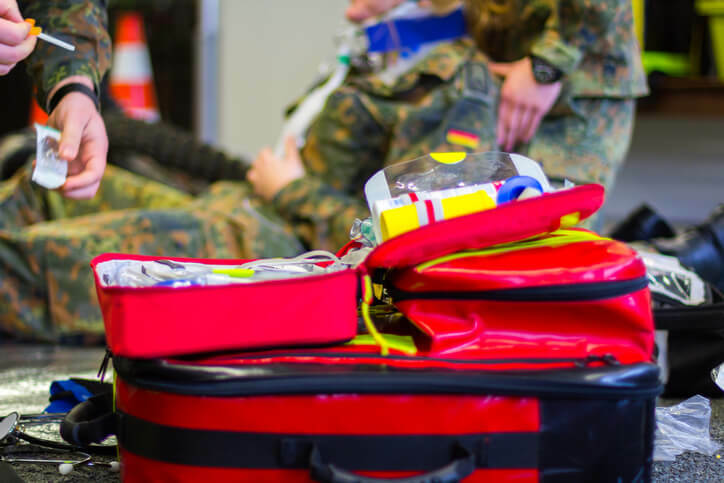 When you think about the components of a well-equipped tactical medical kit, what naturally come to mind are the tools needed to deal with trauma-related injuries: hemostatic agents, dressings and bandages, and tourniquets and chest seals. 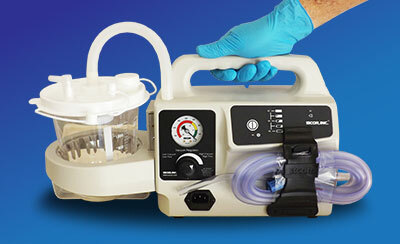 What may not spring to mind is your portable suction unit. But it should. 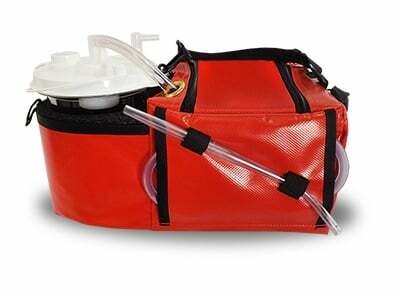 If you’re trying to control oral exsanguination or attempting to visualize the cords during intubation, nothing can take the place of an effective portable suction unit. Many tactical kits contain a manual suction device that is small and lightweight and does not require power. 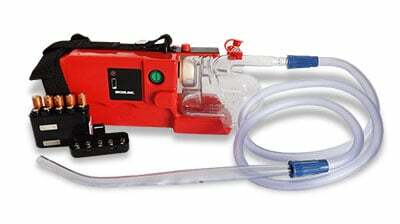 But today we’ll discuss why a battery-operated portable suction unit, designed specifically for tactical medical scenarios, is far superior to a hand-operated device. Hot Zone (Care Under Fire)—where patients are protected from further injury until they can be evacuated for treatment. Only life-threatening hemorrhage control via tourniquet application should take place within the Hot Zone, along with neutralization of immediate threats (smoke, threatening posture, directed fire). Any further treatment must be delayed until the patient is transferred to the Warm Zone. Cold Zone (Tactical Field Evaluation)—once the patient is stabilized, he or she can be transported to the appropriate facility. The patients you treat within the Warm Zone will most likely have traumatic injuries. The nature of tactical medicine is to respond to scenes of violence: active-shooter scenarios, barricaded gunmen, or terrorist events. The likelihood of treating trauma patients is high, which is why the components of the typical tactical medical kit focus on trauma-related injuries. Airway intervention, along with other stabilization treatments, will take place in the Warm Zone. Your kit should contain the necessary components to provide a patent airway: OPAs, endotracheal tubes, surgical cricothyrotomy kits, pocket mask, and bag valve device. But one of the most important tools in your airway arsenal is your portable suction device. 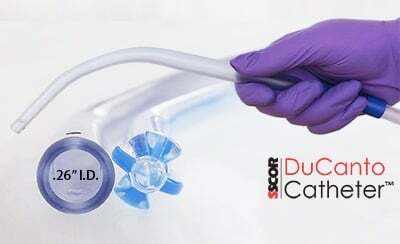 Not only will you require suction when visualizing the cords during intubation, but should your patient be actively vomiting or bleeding uncontrollably, your suction device is your only means of clearing the airway. That’s why this critical treatment should not be relegated to a manual device. 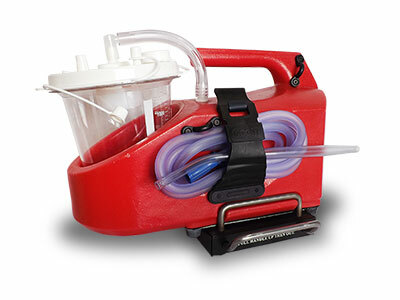 A small, lightweight, battery-operated suction unit, specifically designed for tactical medical scenarios, is the ideal tool for clearing the airway of a trauma victim. These rugged units are built to withstand the punishing environments of emergency response and are weather-resistant and easy to operate, even under the most extreme conditions. They rely on battery power and do not depend on manual pumping, which frees up the rescuer who would normally be consigned to operate the suction; manpower is usually in short supply, especially during mass casualty incidents. A unit that can run automatically means rescuers can focus on advanced treatments, like placing airways and controlling hemorrhage. And what about patients who are actively bleeding into the oral cavity? A manual device will be unable to keep up with the constant flow. Which is where the SALAD technique comes in. Using a rigid suction catheter, suction the airway. Insert the laryngoscope blade as you continue suctioning, shifting the suction catheter to the corner of the patient’s mouth, to the left of the blade. Position the suction catheter tip at the proximal esophagus, providing continuous suction as you visualize the cords. Suction the endotracheal tube prior to ventilation, to avoid contaminating the lungs. 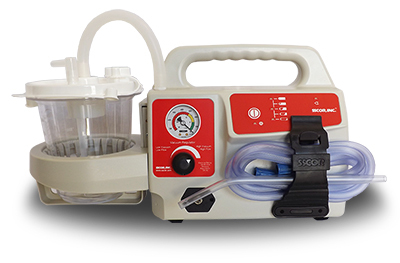 The SALAD technique, along with an effective portable suction unit, will allow you to control oral hemorrhage while placing an advanced airway. But continuous suction requires a unit powerful and efficient enough to clear the airway of even the multi-system trauma patient. 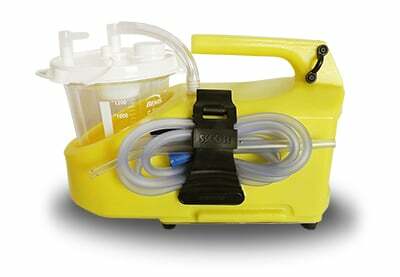 This is why a battery-powered portable suction unit plays a critical role in your tactical medical kit. American College of Surgeons, Committee on Trauma. Prehospital Trauma Life Support., Mosby JEMS, Elsevier, 2011. 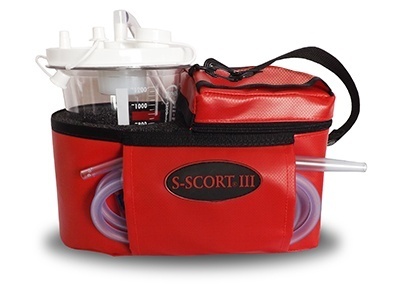 Sam D. Say is owner and CEO of SSCOR, Inc., a medical device manufacturer specializing in emergency battery operated portable suction devices for the hospital and pre-hospital settings. Mr. Say has been involved in developing product for healthcare providers for over 35 years. His passions include contributing to the management of the patient airway and providing solutions that save lives in difficult conditions. Thank you for visiting the SSCOR Blog. Whether you're in a Hospital or EMS setting, this is the place for you. We'll share information on current industry news, tips, as well as the latest and greatest in SSCOR products. Our hope is that this blog is not only informative but a collaborative and open forum for you to share your thoughts on developing opportunities and challenges within your profession. Subscribe. Share your thoughts. Enjoy. All data and information provided on this blog is for informational purposes only. SSCOR, Inc. makes no representations as to accuracy, completeness, currentness, suitability, or validity of any information on this blog and will not be liable for any errors, omissions, or delays in this information or any losses, injuries, or damages arising from its display or use. All information is provided on an as-is basis. Images and content of this blog are © 2017 SSCOR, Inc. All rights reserved.